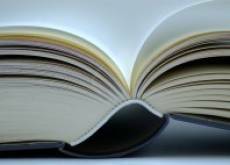 Here we offer access to some of our recent publications, including the Discussion Paper series issued by our Institute. Please visit us again as we will continuously update and extend this website. Different Methods, Different Results? Comparing Health Technology Assessments in the United Kingdom and Germany. Sprengt die Krebstherapie das Gesundheitssystem? Oslo / Norway, June 14-17, 2015. Communicating values and ethics across the healthcare decisionmaking continuum: where are we and what holistic multicriteria brings? The Evaluation of Economic Methods to Assess the Social Value of Medical Interventions for Ultra-Rare Disorders (URDs). Budget Impact Analysis of Drugs for Ultra-Rare Non-Oncological Diseases in Europe. Interventions for Rare / Ultra-Rare Disorders and the Logic of Cost Effectiveness. Health Technology Assessment (HTA) in Switzerland: The “SwissHTA” Multi-Stakeholder Consensus. 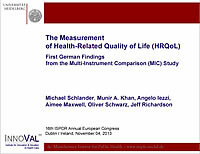 The Measurement of Health-Related Quality of Life: German Findings from the Multi-Instrument Comparison (MIC) Study. Value in Health 16  (2013) A330. Incremental Cost per Quality-Adjusted Life Year Gained? 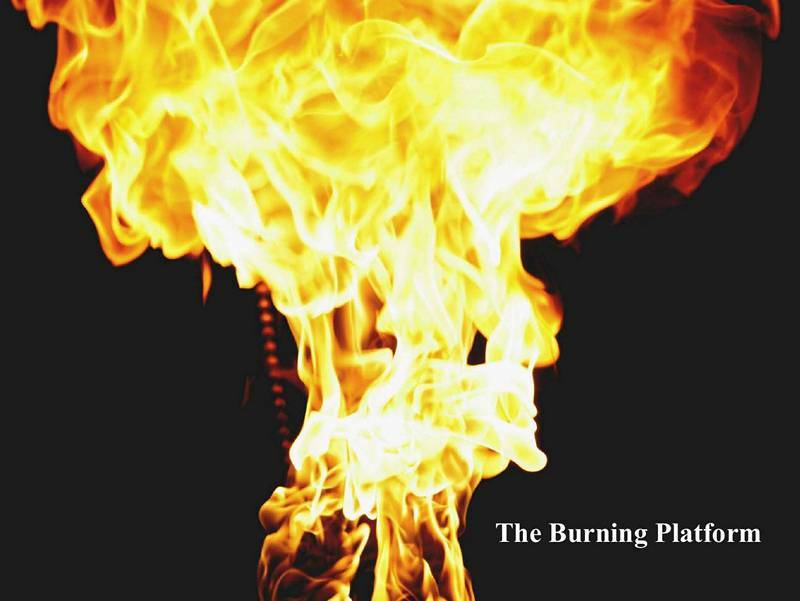 The Need for Alternative Methods to Evaluate Medical Interventions for Ultra-Rare Disorders. Value in Health 16  (2013) A324. Attention-Deficit Hyperactivity Disorder (ADHD), 2003-2009: A Longitudinal Analysis of Prevalence, Health Care and Direct Cost Based upon Administrative Data from Nordbaden / Germany. Symposium. European Child + Adolescent Psychiatry 22 [Suppl. 2] (2013) S102 (Abstract No. S2-06-05). Mental Health Care Research in Germany: Sociodemographic Characteristics of the Nordbaden Database. European Child + Adolescent Psychiatry 22 [Suppl. 2] (2013) S100 (Abstract No. S2-06-01). The Rising Administrative Prevalence of Attention-Deficit Hyperactivity Disorder (ADHD) in Nordbaden /Germany and Specialist Involvement in Health Care Provision. European Child + Adolescent Psychiatry 22 [Suppl. 2] (2013) S101-102 (Abstract No. S2-06-04). The Evolving Treatment Patterns for Attention-Deficit Hyperactivity Disorder (ADHD) in Nordbaden /Germany: A Retrospective Study Based upon Administrative Data, Years 2003-2009. European Child + Adolescent Psychiatry 22 [Suppl. 2] (2013) S101 (Abstract No. S2-06-03). The Medical Cost Attributable to Attention-Deficit Hyperactivity Disorder (ADHD) in Nordbaden / Germany: A Study From a Health Care Payer’s Perspective Based on Claims Data. European Child + Adolescent Psychiatry 22 [Suppl. 2] (2013) S100-101 (Abstract No. S2-06-02). Costs and Benefits of Attention-Deficit Hyperactivity Disorder (ADHD). Attention-Deficit/Hyperactivity Disorders (ADHD) 5  (2013) 113. Europe – Problem Child or Rising Star? Outlook and Opportunities for Growth. “Fairness First?” – Social versus Individual Preferences. The Swiss Health Technology Assessment (HTA) Consensus: Guiding Principles. Value in Health 15  (2012) A319. Will Progress in Applied Health Economics Depend on a New Evaluation Paradigm? The Cost Effectiveness of Clinically Proven Treatment Strategies for ADHD in Adult Patients. Value in Health 14  (2011) A403. Increasing Use of Medication for Treatment of Attention Deficit hyperactivity Disorder (ADHD) in Germany between 2003 and 2009. Value in Health 14  (2011) A300. Does One out of Seven Nine-Year Old Boys Suffer from Attention-Deficit/Hyperactivity Disorder (ADHD)? The Increasing Administrative Prevalence of ADHD in Germany, 2003 – 2009. Pharmaceuticals – Keeping the Industry Competitive. A Perspective from Germany.